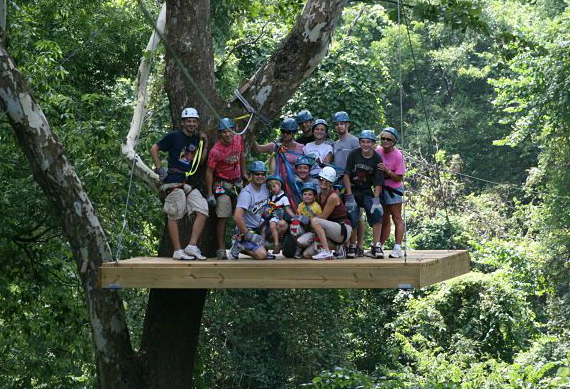 Have you considered traveling through the treetops on a zipline? 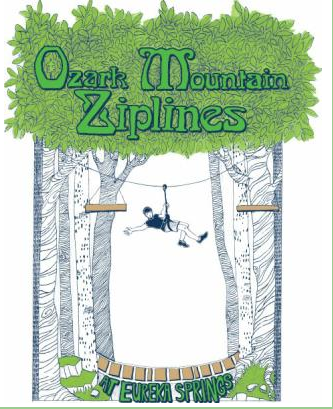 Ozark Mountain Ziplines in Eureka Springs offers the perfect way to explore the beauty of the Ozark Mountains from a unique perspective. Professional guides, top grade equipment and lines, routine safety checks all make this “extreme” sport pretty doable. From the oldest to pretty darn young have explored the Ozarks this way and now it is your turn. Call them up at 479.363.6699 and ask for Will or Kendra. Tell them you saw them on EurekaSprings.com and they will be extra nice to ya (They are pretty nice folks already) or find tickets online at ReserveEureka.com. This entry was posted on September 5, 2014 by estcblog in Attractions.